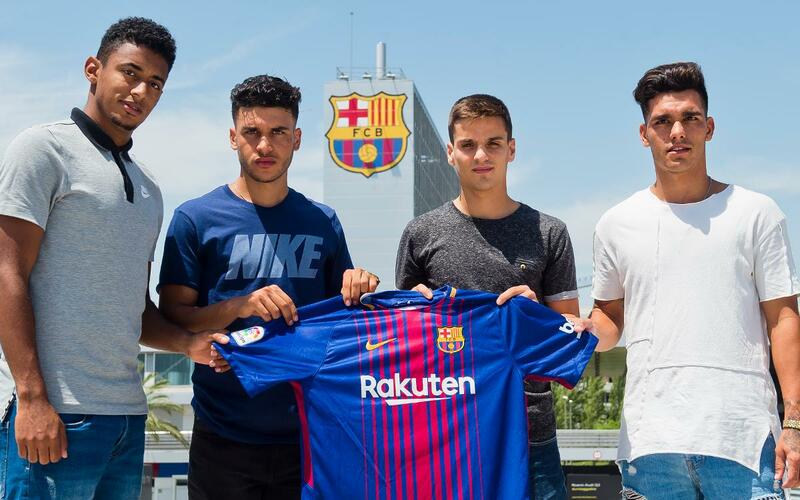 Arriving from Olimpia, Celta, Numancia and Badalona, ​​respectively, four new Barça B players headed to the offices of the Ciutat Esportiva Joan Gamper to sign their contracts. In the presence of Silvio Elías and Josep Segura, Antony Lozano, Samu Araújo, Íñigo Ruiz de Galarreta and Moha all put pen to paper and follow the capture of Vitinho, adding further depth to the squad coached by Gerard López. Known as ‘Choco,’ Lozano cost €1.5 million and has signed for two seasons, with another optional year and a buyout clause of €50 million. Born 24 years ago in Yoro (Honduras), he is a centre-forward with a good first touch and decent aerial ability.